Increase attendance and membership while reaching new audiences. 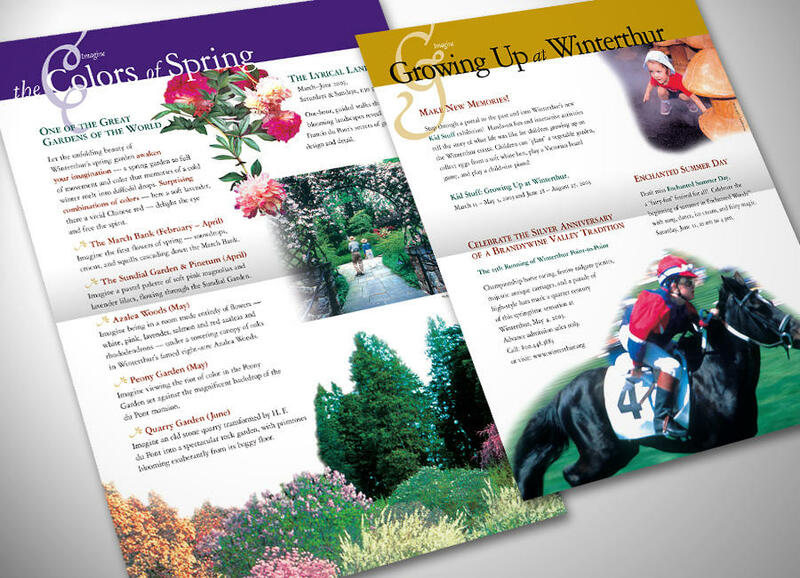 We created a new series of “Discover Pass” direct mailers as a continuation of an aggressive marketing effort to expand Winterthur’s target audiences and build attendance by capitalizing on promotions for world-class museum exhibitions, a new children’s garden and spectacular seasonal events. 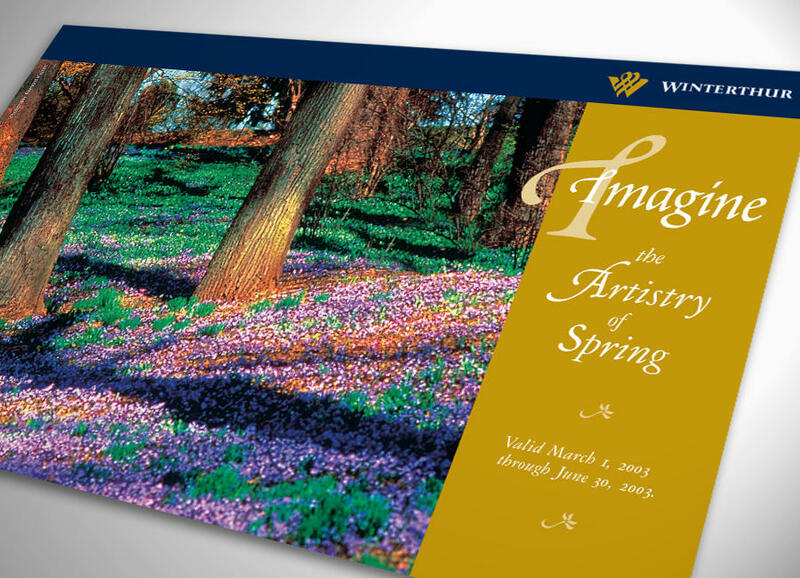 Winterthur’s daily visitors numbers averaged a 16% increase. Family membership spiked to an all-time high and a ten-year downtrend in winter attendance was reversed.